In recent years, gardening has experienced a sort of comeback. It is a calming, almost Zen-like experience. But if you plan on delving deep into gardening you will need the proper tools. Very often, people seem to neglect the importance of a pair of good gardening gloves. To perform all the required tasks properly, you need to keep your hands safe from any injuries. Gardening gloves can protect you from injuries and insect bites, give you a better grip when you handle gardening tools, stop pesticides from touching your skin, and keep your hands clean through it all. When it comes to choosing up a good pair of gardening gloves, there are quite a few things you should take into consideration before making a purchase. 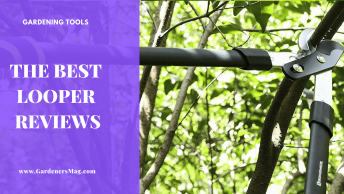 This is why we have compiled this guide, and on top of that we have also rounded up and reviewed some of the best gardening gloves we believe will tickle your fancy. There are no universal gardening gloves which will be well suited for everyone. 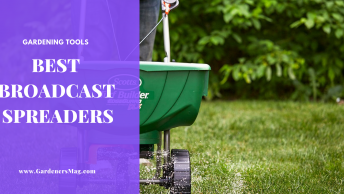 It all depends on different gardening projects you want to undertake and it also largely depends on the amount of money you are willing to spend. Let us get you a quick rundown of all the things you need to consider before purchasing gloves. This is the foundation of it all. A good pair of gardening gloves largely depends on the materials. In most cases, a pair of good gardening gloves is made of leather, but that also means several different options with different advantages for each of them. The most commonly used leather is actually pigskin leather, and it provides quite a good balance of toughness and affordability. When we’re speaking toughness and resistance to punctures, nothing really beats goatskin. The most durable sort of leather is also flexible and soft, and that is why most of the pricier gardening gloves are made using this type of material. Cowhide is similar to goatskin to a degree, but unfortunately it doesn’t flex as much, so it isn’t that popular. In recent times we’ve seen increased popularity of synthetic leather in the production of gardening gloves. 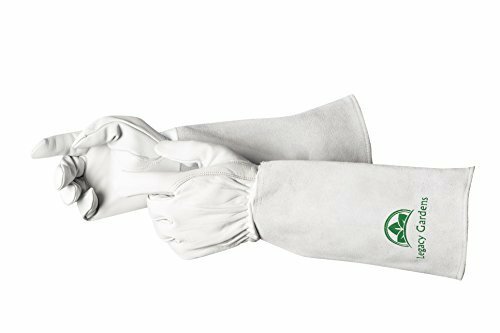 If you need some breathable and flexible gardening gloves, you should definitely check out cotton gloves. They are pretty light and usually very competitively priced. Those who aim for gloves with a waterproof coating should opt for nitrile gloves. These are not breathable, though, so they can easily lead to sweating. Last but not least, there are gardening gloves made from materials such neoprene, spandex, or Lycra, and these are meant to provide you with additional dexterity, and comes in very handy when you need precision and safety at the same time. No matter which gardening gloves you choose, you will never be able to have both durability and comfort. Usually, the most comfortable gardening gloves aren’t that durable, and those designed for heavy-duty gardening projects won’t be able to provide you with a generous amount of comfort. This is why we strongly suggest trying a few pairs for yourself, so that you could strike that fine balance of safety, comfort, and durability. Whichever gardening endeavors you have in mind, we strongly suggest you go for gardening gloves which have fingertip reinforcements. No matter what you do, the fingertips will be the first to get worn. In most cases, this additional layer of protective material is made from leather and it is very efficient at preventing the gloves from wearing out at those areas. Also, the extra layer might save you from an injury if you happen to stumble upon stinging insects, thorns, broken glass, rusty nails, and such. On the other hand, if you intend to spend quite a lot of time fiddling with things that require you to actually feel what you’re doing, you should probably get another pair of gloves just for such projects. Quite often, gardening gloves tend to fail at the seams or the stitching, as these are always under a lot of stress from your everyday gardening projects. This is why we strongly suggest you opt for gardening gloves that come with double-stitched seams. Once the first row of stitching fails, the second one remains, so the glove won’t start to fall apart, and it might actually last twice as long as those equipped with a single row of stitching. Don’t go for just any pair of gardening gloves with double stitching. Cheaper gloves with double rows of stitching usually add some bulk to the seams which leads to a very uncomfortable experience during work. Even though this may not seem like an important feature, it is actually something you really need to pay attention to. Having a comfortable yet snug fit around your wrists will surely keep all the debris from getting inside your gardening gloves. A good option is to search for gloves which come with an elastic or hook-and-loop closure around the wrists, especially if you plan on doing quite a lot of weeding or digging. 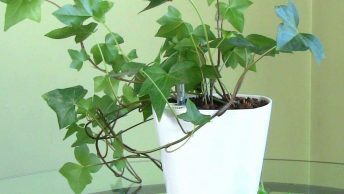 Keep in mind that these can get loose over time and lose their ability to keep the debris out of your gardening gloves. Velcro straps are perhaps an even better option as they can provide adjustable closure around wrists of any size. It is of the utmost importance to choose gardening gloves which will perfectly fit your hands. A glove with a poor fit will make your gardening experience quite an unpleasant one. 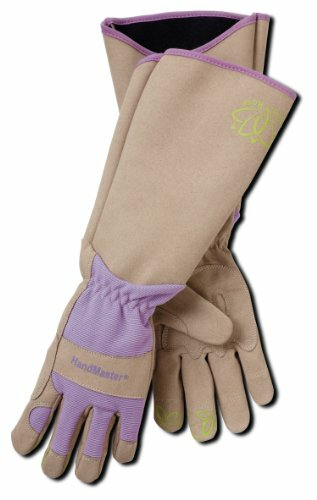 Once you find the model you like, make sure that it comes from a reputable company that offers their gardening gloves in a wide variety of different sizes. These usually range from S size which is commonly 6.5 to 7.25 inches, and all the way up to XXXL which is somewhere between 11 and 12 inches. Online sizing guides can also be of great help and save you quite a bit of time when choosing your next pair of gardening gloves. These commonly contain hand length, finger length, and finger circumference, so you can get a pretty good idea of whether the gloves in question will be a good fit for your hands. There are also some gardening gloves marketed as unisex, but differences between a small female hand and a larger male hand can be quite vast. This is why we usually advise against unisex gloves, although many garden gloves advertised for men and women are actually sized for men (which you’ll see in our picks). When trying on a pair of gloves, you should have your fingertips very near the tips of the glove, but the feeling should be snug and not too tight. Having too much space in the fingertips will prevent you from being able to grasp and handle things properly. The webbing between the fingers also needs to give you a nice, snug fit. All things considered, if you go for heavy-duty gloves, a tighter fit is recommended, while those meant for common gardening projects can pass with a snug fit. When choosing your next pair of gardening gloves, always keep in mind that they need to be as flexible as possible, especially at your finger joints. This can be quite an issue with leather gloves. Keep in mind that new gloves may need breaking in. It’s best if you put on a pair of gloves and make a fist. Can you squeeze it tightly? Are you able to move your fingers with no restraints? Also, it is very important that you are able to spread all your fingers freely and that you can grasp tools between your forefinger and your thumb. Gloves that are not flexible enough will result in you being able to perform all the gardening tasks, simple as that. If you plan on doing some heavy duty gardening, definitely make sure to check out some of the gloves that feature padding positioned strategically on the palm and finger. Some models feature padding on the knuckles as well, and as such can prevent you from getting injured. Just keep in mind that gloves with too much padding will not be very flexible. Even though it may not seem that important at first, you really need to take good care of your gardening gloves, so you wouldn’t have to buy new ones often. Rubber gloves and cotton gloves can be easily washed in a washing machine, but the leather ones aren’t that simple to keep clean and well-maintained. You have to wax them every now and then and you can only clean them by using a soft, damp cloth. Installing a few pegs where you can keep your gloves is probably the best way of storing them. Now let’s take a look at a few of the best gardening gloves out there. Now, let’s kick off with some of the finest gardening gloves you’ll be able to find out there. Legacy Gardens makes a wonderful pair of gloves finished off in snow white and available in five different sizes – extra small, small, medium, large, and extra-large, so there’s a perfect fit for any hands. Tried against rose thorns or the pointiest cacti, they really do provide excellent protection. They are equipped with a heavy-duty gauntlet and they are completely cut and puncture-proof thanks to carefully laid out extra protection on the palms and the fingers. Also, they provide a nice balance of durability and flexibility, and they are quite comfortable to wear and work with, even for longer periods of time. Clever features like custom-designed stitching at the thumb area and top-notch materials like goat leather really make these gloves stand out from the crowd. The G & F is a budget pack of three pairs of women’s gardening gloves. 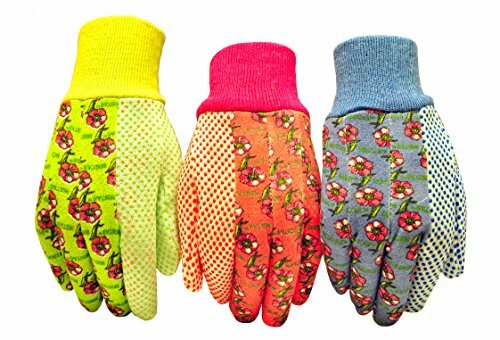 At a very low price you get three pairs of cotton gloves that come in three different colors – green, red, and blue, each of them adorned with a lovely floral pattern. That being said, these come in one size only – medium – designed for individuals with smaller hands. These gloves feature PVC dots on the palms so that they still can offer some sort of grip and protection, but don’t expect any miracles here. This is another pair of gardening gloves aimed at female gardeners, but this time around we’re talking about a really pricey model meant for true professionals. They come in three different sizes, small, medium, and large, but all designed with smaller hands in mind. 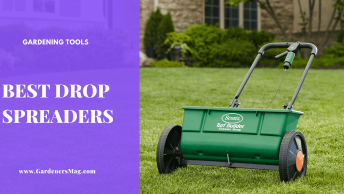 Characterized by its full length and wonderful design, with gentle violet inlays and green floral embellishments that double as extra grips, these are sure to make you look classy, even when doing your gardening chores. To make sure you are fully protected all the way up to your elbows, these come with a gauntlet cuff, while the fingertips and the palm area feature extra padding to keep you safe from cuts and punctures. Also, it goes without saying that the knuckles are reinforced for extra protection from spikes and thorns. 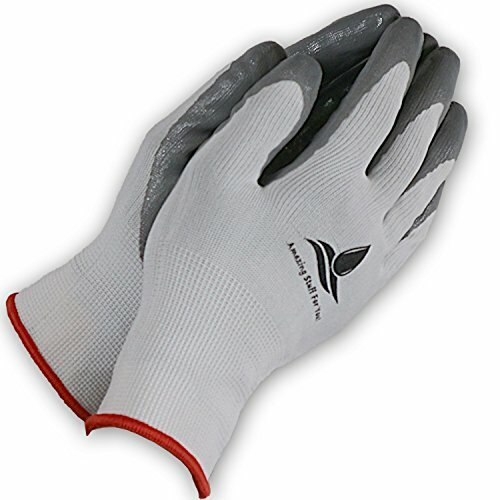 These bamboo gloves by Pine Tree Tools are among the best working gloves in general. They are somewhat different from the gloves we’ve shown you so far, as they are made of fully breathable bamboo fabric, while at the same time they offer quite an impressive level of safety against cuts and punctures. Being fully breathable, these are excellent for use on hot summer days, as they prevent your hands from sweating excessively, but they also seem to fit very snugly and provide you with a lot of sensitivity. 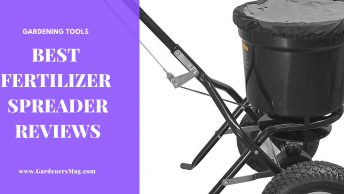 If you plan on doing something that requires a lot of feel, precision, and control, you will be delighted by the fact that these can even be used on touchscreens. Keep in mind that these can protect you from cuts and punctures, but not as well as a pair of heavy-duty leather gloves. On the other hand, it is great to know that these are made from an environment-friendly material which is antibacterial and hypoallergenic. We mentioned earlier that some gloves feature a nitrile coating for added protection against punctures and cuts, and these may just be the right ones if you want to go that way. 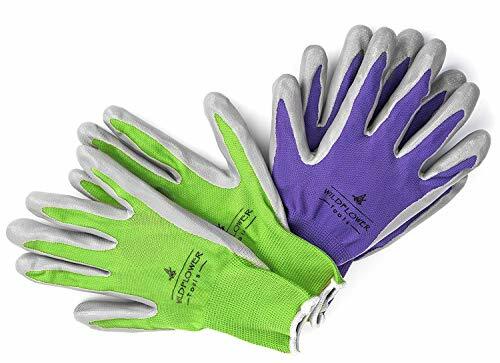 Coming in three different sizes – small, medium, and large – these Wildflower Tools gloves are for both men and women, and they are sold in packages of two pairs – purple and green. These are made from seamless nylon, so they are very durable, but the weave of the material still lets some air through. This is why they can be used even during hot summer days. The nitrile coating provides excellent protection against injuries, and the gloves come with a 100% money-back guarantee. 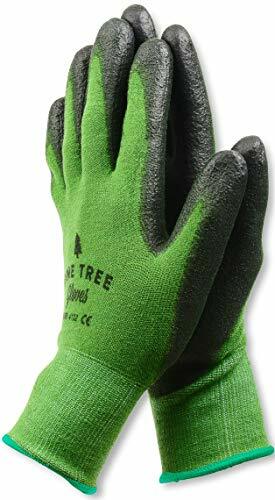 Last but not least, here we have another pair of gardening gloves with nitrile coating that are fully breathable and even certified for resistance against abrasion. They are very nicely styled and they come in packages of two pairs, and can be purchased in small or medium size, so they are aimed more at female gardeners. 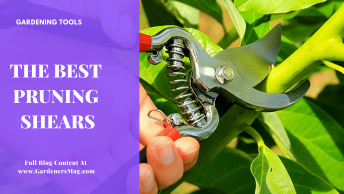 These are resistant against punctures and cuts, but at the same time they provide an almost bare-hand sensitivity, so they are excellent for working with gentle plants. We believe that you now know everything you need to know to pick out just the right gardening gloves. Still, we’d like to suggest THE best gardening gloves out of the batch we’ve selected here. The Legacy Gardens leather gardening gloves really swept the floor with all the others, as they simply look magnificent, they are very comfortable, they keep you safe from injuries, and they cover your wrists as well. Even though they are among the pricier ones, consider them a good long-term investment, because they are built to last. A true gem in the world of gardening gloves.